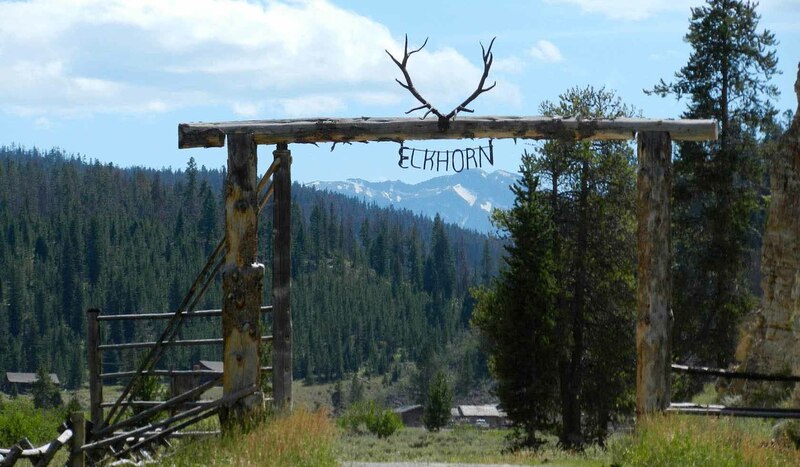 THE ELKHORN is one of the few remaining traditional dude ranches where the natural outdoor experience is the focus of activity. Here you will ride on trails that offer all the beauty and serenity of the Rocky Mountains astride some of the finest dude horses available. The ranch is just one mile from Yellowstone National Park, surrounded by the Gallatin National Forest and the Lee Metcalf Wilderness - millions of acres of spectacularly beautiful mountain scenery. Wildlife abounds, including elk, deer, moose and an occasional bear or wolf. Riding and hiking are the main outdoor activities. Riders will have a horse chosen from our herd of over 100 to match both your interest and ability, for the entire stay. Experienced wranglers accompany each trail ride to ensure safety and enjoyment of the magnificent high country trails. Prior training is not necessary for you to take advantage of our riders, which vary from short and easy to long and challenging. Terrain covered includes forests, meadows, valleys, hills and mountains. Elkhorn is a family-oriented ranch--all ages welcome!